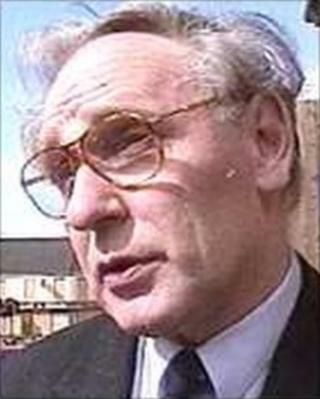 Tributes have been paid to the former Ulster Unionist MP for West Tyrone William Thompson, who has died aged 71. Mr Thompson, who was from Beragh in County Tyrone, had a long political career, serving for many years on Omagh District Council. He also represented the UUP in the power-sharing institutions at Stormont in the 1970s and 1980s, winning seats in Mid-Ulster in 1973, 1975 and 1982. The postmaster and farmer was best known for his stint as MP for the newly created seat of West Tyrone between 1997 and 2001. He represented the constituency at the time of the Omagh bomb and often expressed his deep regret at how the atrocity had affected community relations in the area. He was one of a number of Ulster Unionist MPs who maintained opposition to the Good Friday Agreement despite the party's overall support. When he lost the seat to Pat Doherty, he stood down from frontline politics and involved himself more prominently with the Grand Orange Lodge of Ireland. The Ulster Unionist Party leader Tom Elliott paid warm tribute to Mr Thompson. "He was always a man of his word. He was always very keen to ensure that the people he represented got the best of things," Mr Elliott said. TUV chairman William Ross, who was a party colleague of Mr Thompson during his time at Westminster, said he had deeply admired him. He added: "William was a man of firm convictions who always had the best interests of the Union and his constituents at heart."